Located in Midtown Omaha adjacent to the Blackstone District, Midtown Crossing, and the Med Center, First Central’s beautiful building, completed in 1922, is a welcome space for you. 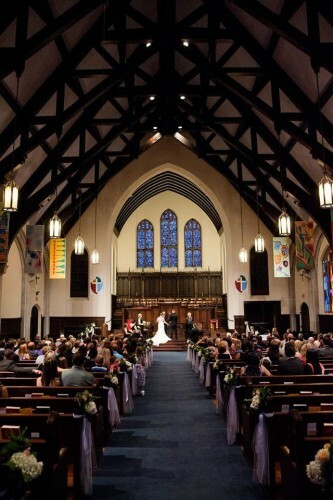 Need a beautiful wedding location which is open to everyone? Maybe a place for prayer and meditation? How about a location for your upcoming event? Or even a community garden plot? 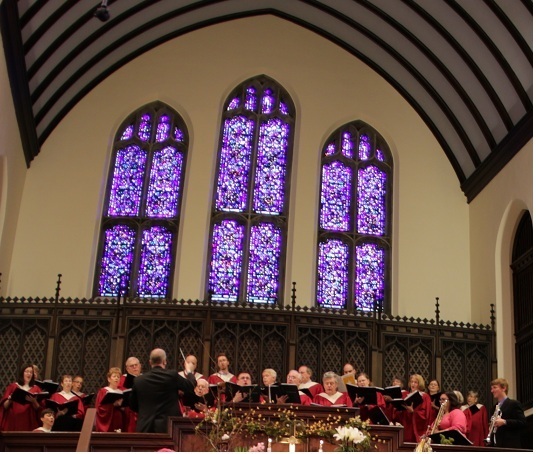 Our sanctuary, which seats 600, is utilized for vocal and instrumental performances, recitals, and concerts. We also have a grand hall which may be reserved for meetings, recitals, exercise classes, and has even hosted theatrical productions. There are a variety of other spaces available which may be used for support groups, classes, meetings, or conferences. Most spaces are accessible to persons with disabilities. 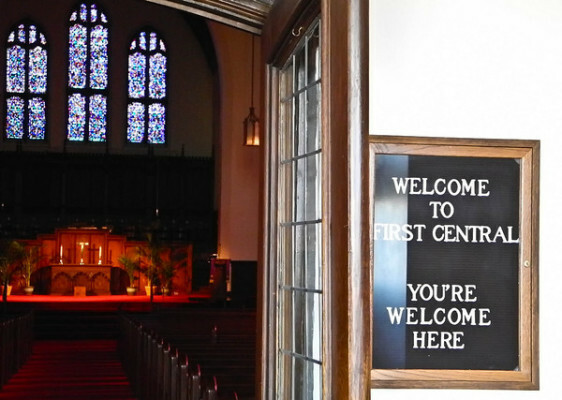 For more information regarding building rental space and rental fees, please contact the church today. Our sanctuary is open every day from 11 a.m. to 1 p.m. for prayer and meditation or just a quiet retreat from the activities of everyday life. We also have a prayer labyrinth on our patio, which is open 24 hours a day. 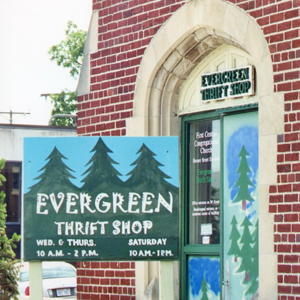 The Evergreen Thrift Shop is First Central’s bargain store located inside the church. Enter from the Harney Street side of the church building. Here you will find unique products at great prices. The Thrift Shop is open Wednesday through Friday from 10AM to 2PM, and Saturday from 10AM to 1PM. Donations of good quality items are always welcome. Come visit the store to find great bargains! Our building was designed by architect George Prinz in the English Gothic style. The beautiful stained glass windows in the choir loft were designed by America’s most eminent stained glass artist of the early twentieth century, Charles Connick. Their abstract, modern style has been described as “dancing lights” with a “swinging character.” Or simply, “our Jazz Age windows.” The lights which hang over the sanctuary are a custom design by the New York firm Rambusch. Our Aeolian-Skinner pipe organ was installed in 1947 with the great Marcel Dupre performing. It now contains 61 ranks with 3,746 pipes. Our baptismal font was created by Ed Fennell of the Crystal Forge.